Joy Formidable at The Troubadour last year. Known for the aggressive, loud guitar thrashing, The Joy Formidable just released a video showing their softer side, covering The Carpenters' "Superstar" backstage during one of their stops in Charlotte last month. 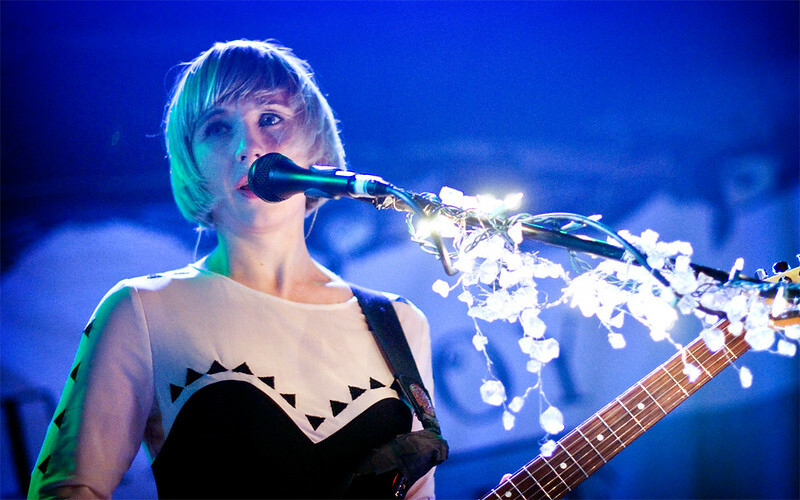 Joy Formidable are currently on their North American tour until the end of July. They return stateside in October when the play Austin City Limits and then it's back to Los Angeles for a show at The Greek Theater with Passion Pit.